WILMINGTON (WPVI) -- A man with a knife robbed a pizza delivery driver of food and money in New Castle County, authorities said. Jonathon Saxe has been charged with robbery 1st, aggravated menacing, possession of a deadly weapon during the commission of a felony, and terroristic threatening. Police were called Saturday to the unit block of West Holly Oak Drive in Wilmington for the report of a delivery driver who had been robbed at knife-point. The driver told police that he had been sent to this unit block to deliver food. When he arrived, he called the suspect who had ordered the food. The suspect told him to wait a couple of minutes. The driver said a sedan soon approached and a man exited. The suspect, later identified as Saxe, approached the driver and pulled out a knife, police said. According to authorities, the suspect then ordered the driver to empty his pockets. He then left in the car with an undisclosed amount of money and food. 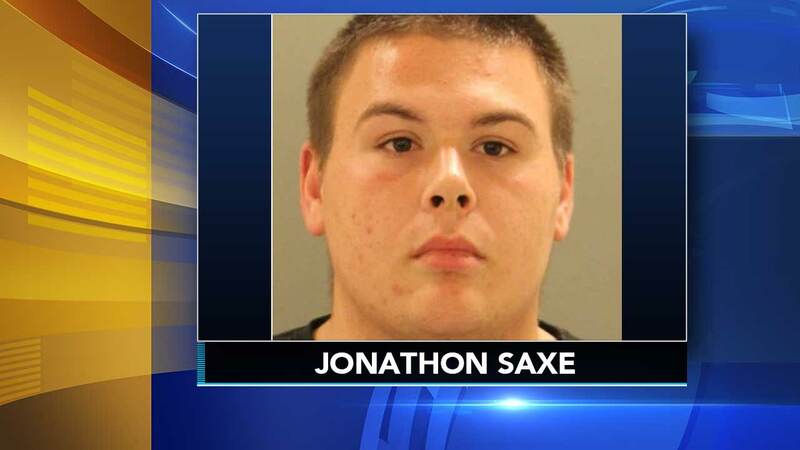 The New Castle County Police Patrol Units investigated and were able to establish Saxe as a suspect. Saxe was arraigned and held in lieu of $41,100 secured bail.